If your eyes feel itchy, gluey and swollen, your nose is stuffed up or runny, and you’ve got a scratchy throat and a low-grade headache, you may not be battling a cold. 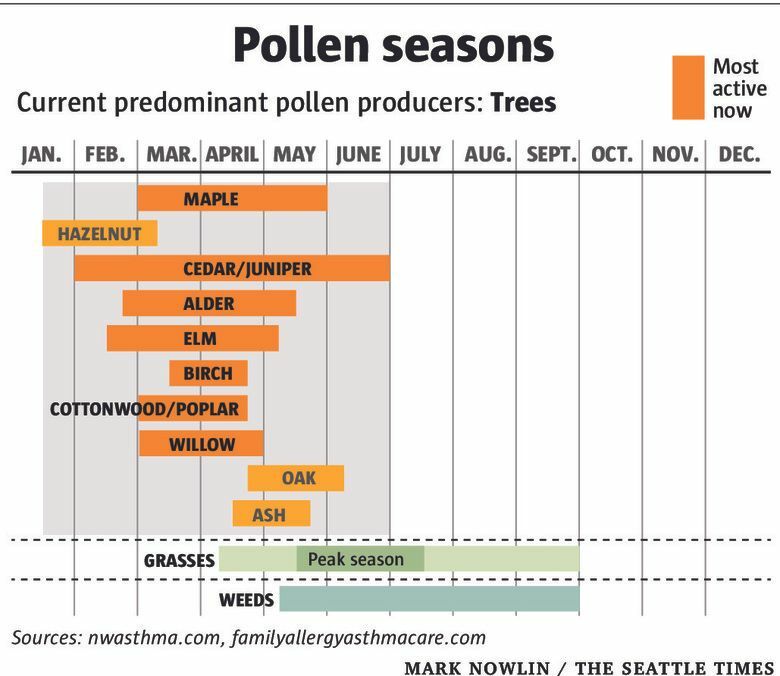 All those trees that make Washington state so beautiful just dropped a fat load of pollen, creating distress for allergy sufferers. On Friday, the pollen count was 503 — which is toward the top end of “high,” according to the Northwest Asthma & Allergy Center. On Saturday, when rain is expected, the pollen count should go down as well, but starting Sunday, it is expected to creep back up and stay high for most of next week. The annual pollen dump usually occurs soon after the region gets its first batch of warm, dry weather, as we did earlier this month with a slew of days with record-breaking heat. 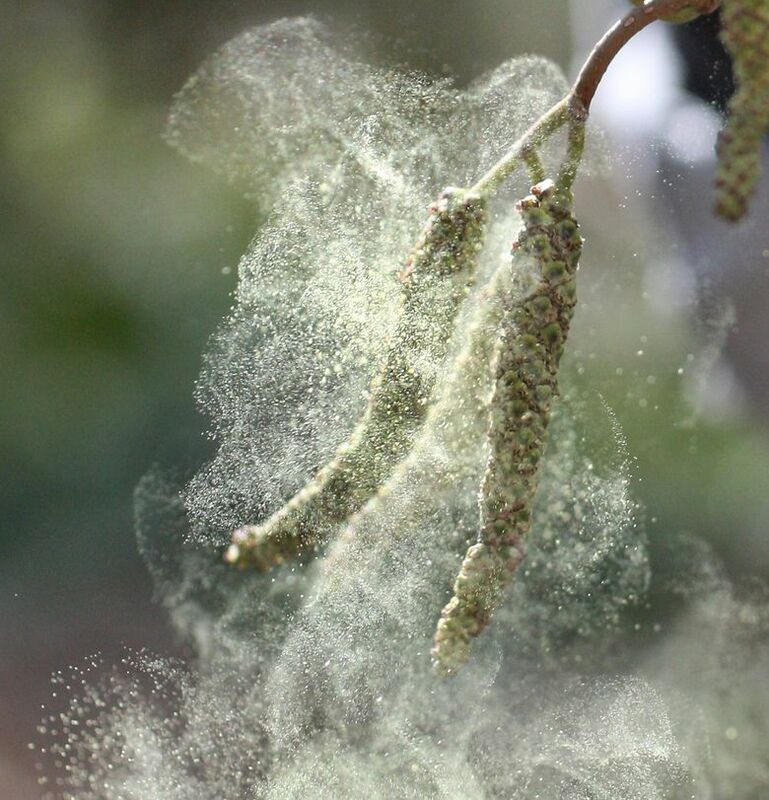 Among the biggest culprits at the moment are alder, cedar, juniper and birch, according to pollen.com, which shows that the pollen index on March 12 was at a low 2.8. The next day it jumped to 8.5 and has continued to climb into the 9s and 10s, according to the site. Anything above 9.7 on the site’s index is considered a high reading. For many people, pollen is more of a nuisance than anything else, but for others, like those with asthma or other respiratory issues, it can increase health risks. That’s good when an infectious disease is trying to invade, but not when it’s a harmless allergen. Genetics and environment are believed to contribute, she said. And the misery comes en masse: “Generally, if you’re allergic to one thing … you’re actually allergic to multiple things,” Pepper said. Allergy experts say medicines can bring some relief because antihistamines block the body’s response to the threat of attack from allergens. Nasal steroids block inflammation and can reduce symptoms.